Dementia is a debilitating illness which has lasting effects on patients, their families, and on society as a whole. Despite years of research, modern medicine has been unable to find effective and impactful solutions for this disease. Maybe the answer then lies in looking to the past for a solution. Recent research suggests that the answer to preventing dementia may have been right under our noses. Turmeric is a spice commonly used in Indo-Pak cuisine and is the main ingredient of curry. 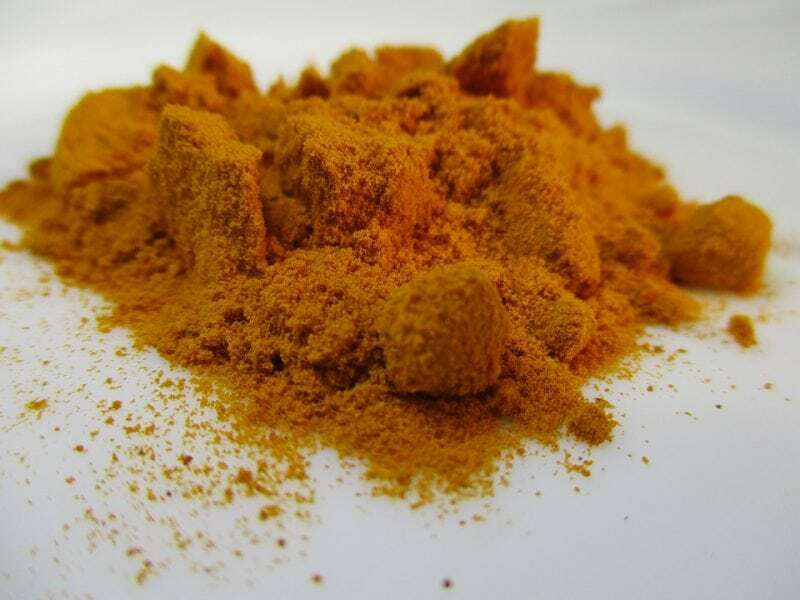 This bright yellow spice has long been credited with numerous healing properties, and its uses vary from adding food and flavor to food to being used in the treatment of cold, cough, and flu. The antioxidant properties of Turmeric have been of particular interest in past research studies, and it is this property that may play a role in preventing dementia — Alzheimer’s in particular. In Alzheimer’s Dementia, deposits made up of mostly of protein form in different parts of the brain. These deposits, called plaques, commonly form in the part of the brain that deals with memories called the hippocampus. It is these insoluble protein deposits, or plaques, that are thought to cause the symptoms commonly seen in Alzheimer’s Dementia. Previous research indicates that the active compound in turmeric, curcumin, may dissolve the otherwise insoluble protein deposits that are found in Alzheimer’s. This past research was, however, unable to comment on the effect that this had on the actual symptoms, in particular, the memory loss of Alzheimer’s. The latest research on this topic uses a very powerful form of curcumin, called Theracurmin. This research focuses on the impact of Thercurmin on the plaques found in Alzheimer’s Disease, along with its effect on memory symptoms and cognition. This research finds that use of Theracurmin is associated with decreased plaque formation in patients and improvement in memory and cognition. Dementia remains a disease that is as poorly understood as it is debilitating. These research findings bring the medical world significantly closer to not only understanding dementia but also to developing targeted strategies to prevent dementia. Perhaps one of the most important aspects of developing Theracurmin’s potential as a possible treatment for dementia lies in its safety profile. The use of Theracurmin was associated with very few side effects, the most severe of which was mild gastrointestinal symptoms. Furthermore, no participants in the study had to discontinue use of the compound because of side effects. The lack of side effects becomes a vital point to consider when keeping in mind the target population of Theracurmin. Alzheimer’s is essentially a disease that affects the elderly. This population, because of changes in their metabolism due to age, are particularly vulnerable to the side effects of many medications. They also tend to use many different medications for a variety of illnesses, and it can become difficult for physicians to add medications for these patients if their side effects are significant, regardless of how effective it may be. So while the answer may not lie in eating more curry, Theracurmin seems to be heading in the right direction when it comes to finding a treatment for Alzheimer’s. These findings are described in the article entitled, Turmeric for Prevention of Dementia: Food for Thought, recently published in the American Journal of Geriatric Psychiatry. This work was conducted by Mustafa M. Husain and Mohan Chilukuri from the University of Texas Southwestern Medical Center and Yamna Channa from Duke University. Yamna Channa is a medical resident at Duke University School of Medicine Department of Psychiatry. She received her undergrad degree at St Josephs Convent School and her M.D at The Aga Khan University in Karachi, Pakistan. He research focuses on the link between diet and psychopathology. Her favorite pastimes include running and tennis. Mustafa Husain is a professor at the Duke University School of Medicine Department of Psychiatry and Behavioral Sciences. His area of expertise is in geriatric psychiatry, including a wide range of psychopathologies such as insomnia, depression, and Alzheimer's. He received his M.B.B.S from Dow Medical College in 1981 and completed his residency in psychiatry at the University of South Carolina School of Medicine in 1989. He has authored/co-authored over 150 peer-reviewed publications and has over 9,000 citations.